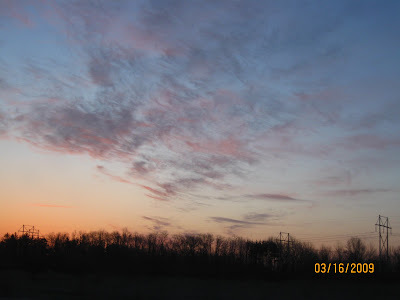 First Friday in month of April, another Sky Watch Friday to share and hosted by them too. 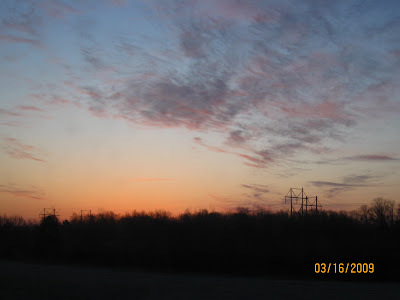 I took this one when we are at Buffalo for my Biometrics, I just love sunrise that is why I kept posting a SunRise and SunSet here. Hope you like it! So very delicate; I just love the colors and hint of pink. It's great you caught it. Great shots, these are fantastic. So peaceful. Enjoy the weekend. like the light behind the trees ....lovely colors. Nice flash of orange to set off the blue. Wishing you a fun-filled weekend ahead! A very nice compensation for having to deal with the USCIS, I just got my 10-yr Green Card approved, so I know all about it! A beautiful sunset is so inspiring and so peaceful. Happy SWF! Oh...so many different colors in that sky...what a treat! Beautiful, just beautiful. Hope you having a fantastic weekend! u shot like a pro na jud sis ba. keep it up! happy sunday! mwahugs! I'm a big fan of sunrises and sunsets. Always dramatic and colorful! Those are some lovely light clouds, very pretty colors! God shot and I hope there is NO snow on those Buffalo grounds!